Back in the day, the Cadillac area was the state’s first ski destination.  That legacy is a point of pride for the area, but Cadillac’s storied past does not mean that the area is resting on its laurels. These days, Michigan’s oldest ski destination is also one of the state’s newest stars. Downhill and cross country skiers will discover a wonderful winter playground in Cadillac. It’s at this point I know that they’re thinking of the old Caberfae, the one with all the rope tows circa 1950. I don’t ski there. 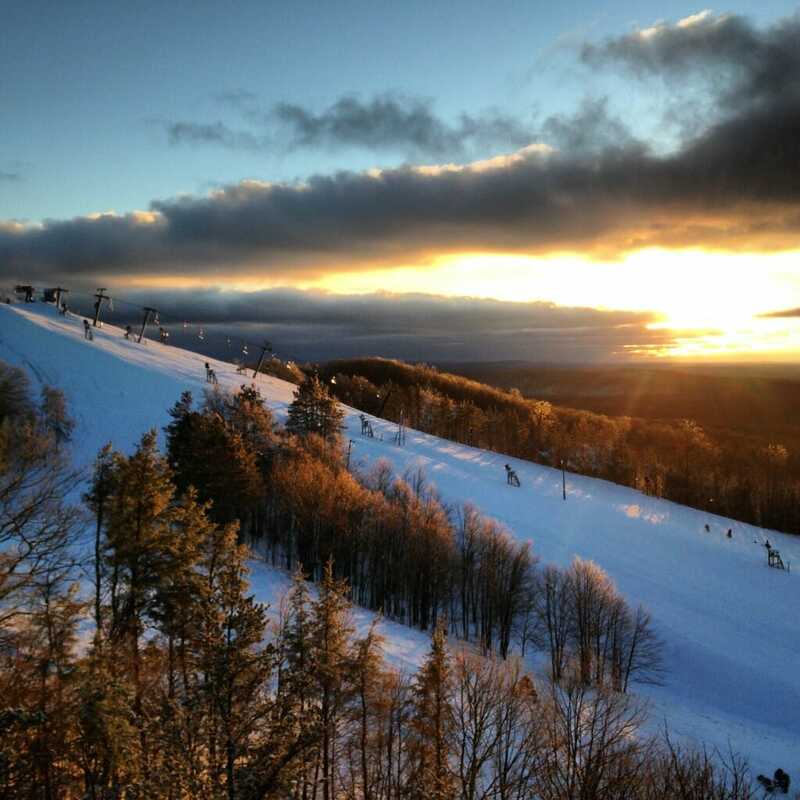 I ski at today’s Caberfae Peaks, the one with the two highest lift-served peaks in lower Michigan, four chairlifts, an expansive day lodge with a two-story fireplace, and some of the best trail grooming this side of Colorado. For me the operative word in ski resort is “ski” and that’s where Caberfae Peaks comes through. 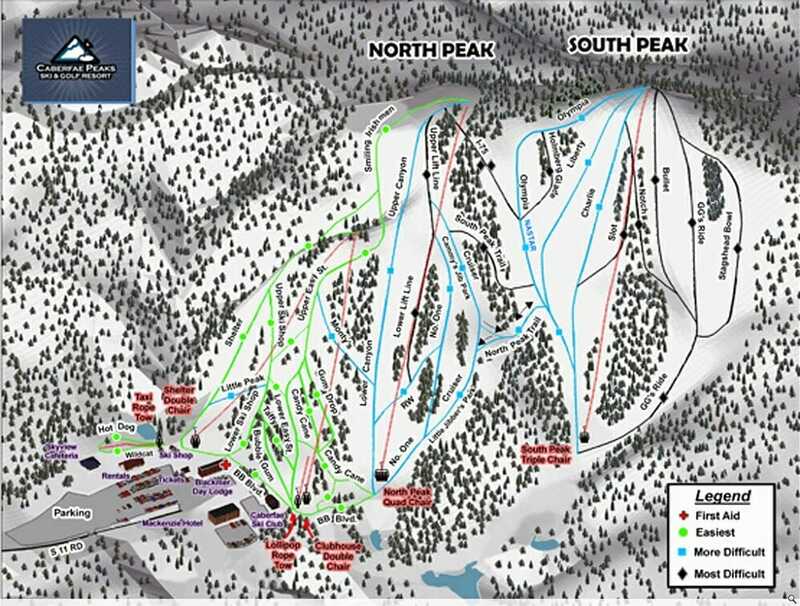 My favorites are the legendary Number 1 on North Peak, one of the first ski runs carved out of the Manistee National Forest by the Civilian Conservation Corps back in the late 1930’s, and Charlie on South Peak, which I consider the best single ski run in Michigan’s lower peninsula. These are great expanses for big turns with enough length to make my thighs burn. When I take my grand daughter skiing, I often opt for Smiling Irishmen. This starts off at the top of North Peak, eventually transitions into Easy Street and feeds into four nifty options back to the base of the North Peak Quad. 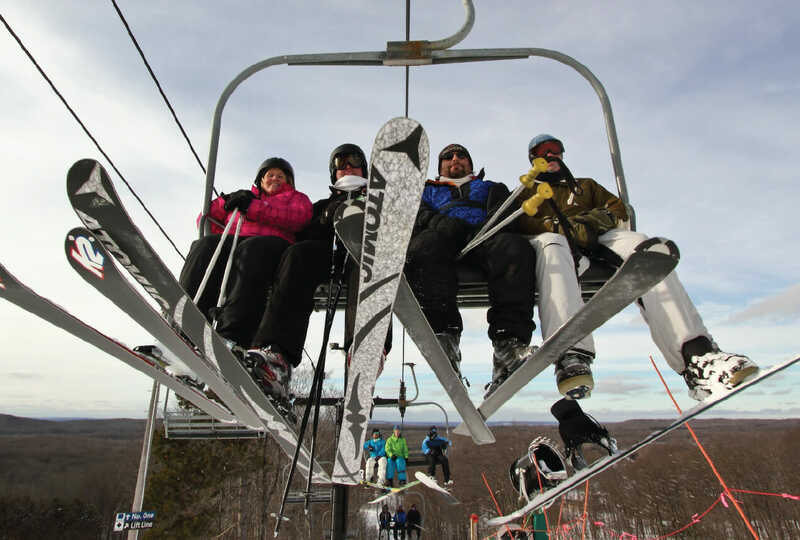 This is a fantastic family-friendly cruise which all together, from the summit of North Peak to the base, stretches three-quarters of a mile, a trip so long that regular Caberfae Peaks skiers have tabbed it the “Caberfae Downhill.” On a sun-splashed day, it’s one of the most smile-inducing novice ski routes in all of Michigan. To be sure, Caberfae has the ski in-out McKenzie Lodge, a hot tub and pool, and a cool après ski bar in Beattie’s Bar and Grill, but for me the allure is the skiing itself. The snow is abundant, the grooming is impeccable, and I always come off the hill with a cheerful attitude at the end of a ski day. That said, it’s nice to know that every year the resort keeps improving. Since 2013, they’ve added 32 additional energy-efficient snowmaking fan guns, a Bombardier Snow Groomer, and several hotel renovations. Last season, the Outback opened the only backcountry skiing and riding in the Lower Peninsula with open runs, trees, glades, chutes and plenty of untracked powder spanning approximately 25 acres. 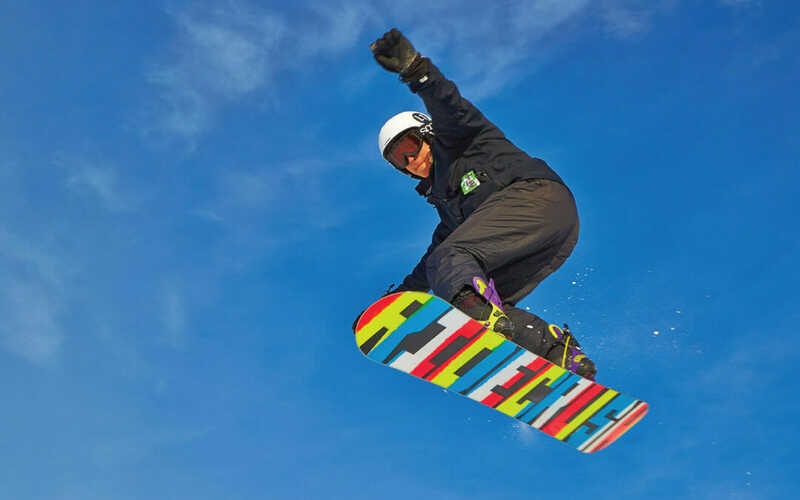 This season, visitors will enjoy expanded snowmaking, a renovated pool and hot tub, a wood burning camp fire pit, an updated entrance to the McKenzie Lodge, and the expansion of the stock of rental snowboard boots and ski boots. Caberfae first opened in 1937, so I love the fact that that ski resort always strives to be better every year.